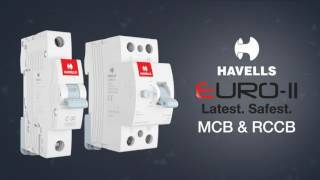 Havells offer its wide range of modular and compact Automatic changeoversolutions to meet the ever-changing requirements. These device overcome the disadvantage of manual changeovers such as increased downtime, disruption in key activities as well as possible damage of expensive equipment, human error, accidents etc. Range of Modular Contactors for centralized control & remote switching of electric devices. Automatic contactors with manual override knob have a manual over-ride switch to select between three function modes and operating positions.